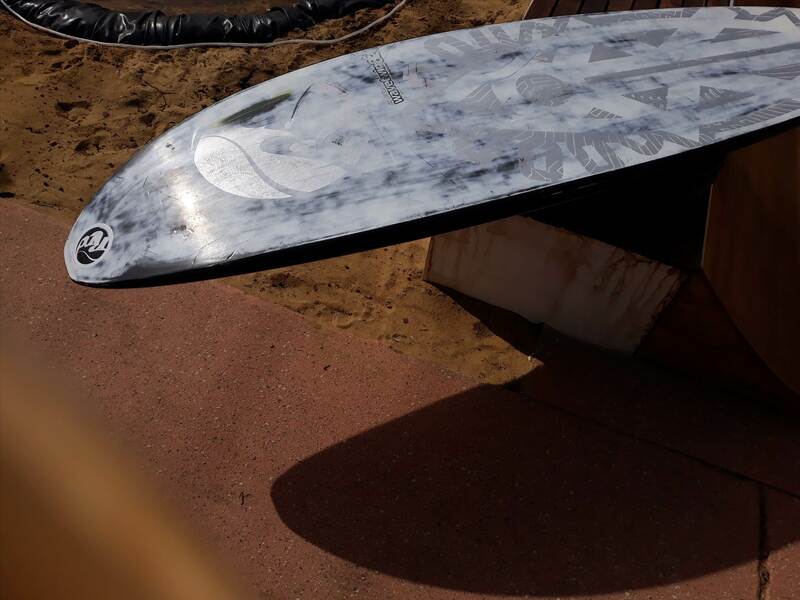 RRD twin fin 82l . 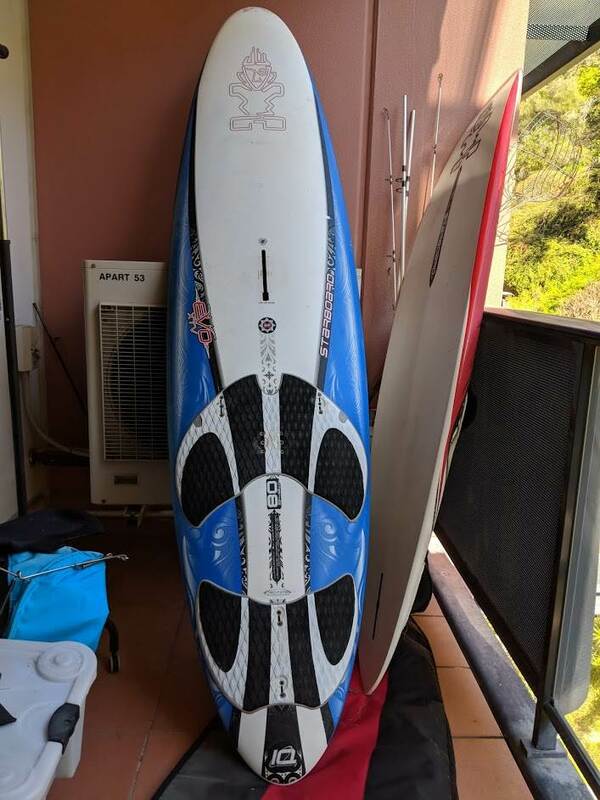 Much loved board but time to give it up. 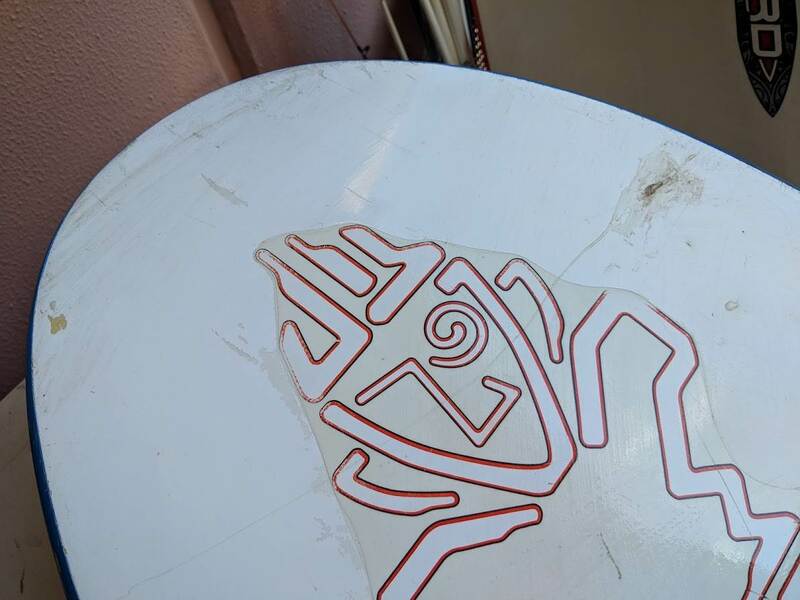 Favourite all time board ever...Its got couple of battle scars that need a wipe over with resin to seal. 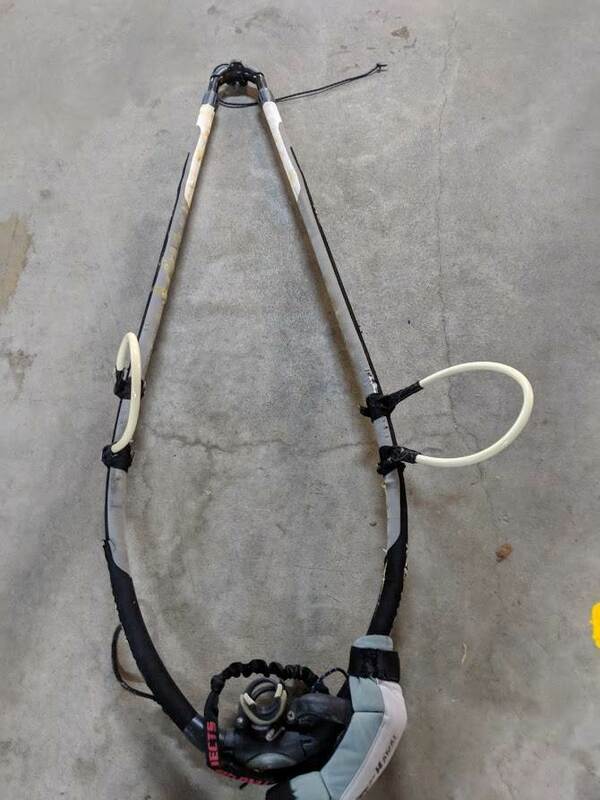 Straps are in good condition. Does not come with mast base or fins. 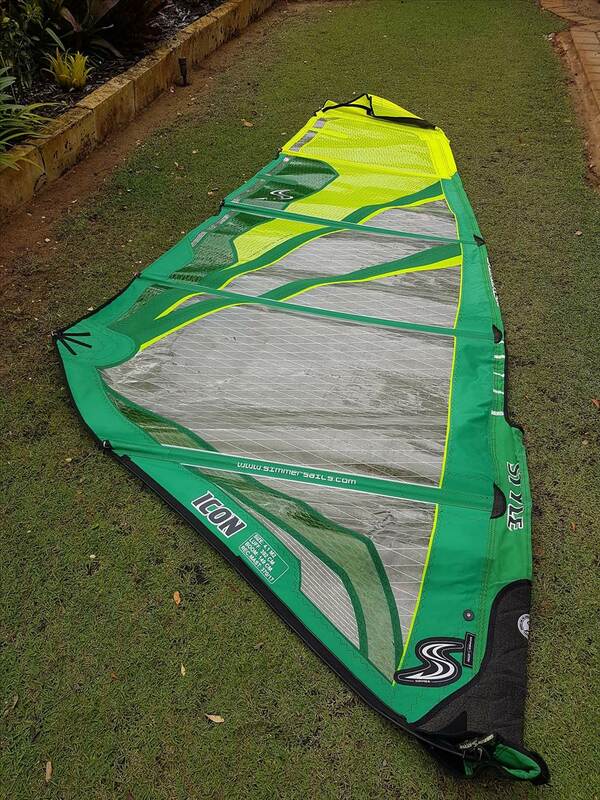 Do have fins but will need money for them as good condition set of MFC and a brand new flying object 155 fins. (These are amazing fins and I sourced the last set available for special occasions). In Padbury. Ps. if your under 18yr old then you get the MFC fins for free. 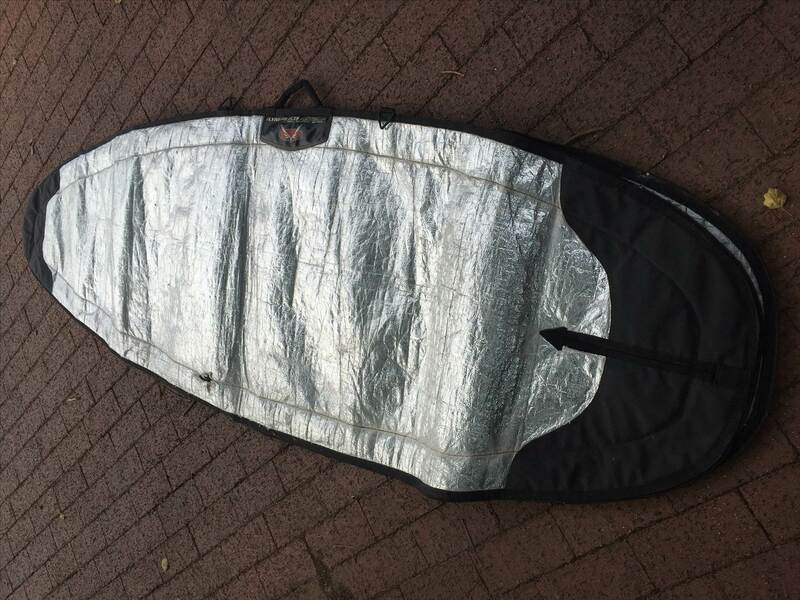 Board bag going free. The zip doesn't work but it's fine if you're just using to throw in a ute. Pick up from East Freo. I am 172cm and fits me. This thing is old, has a few nicks, but a new zipper. 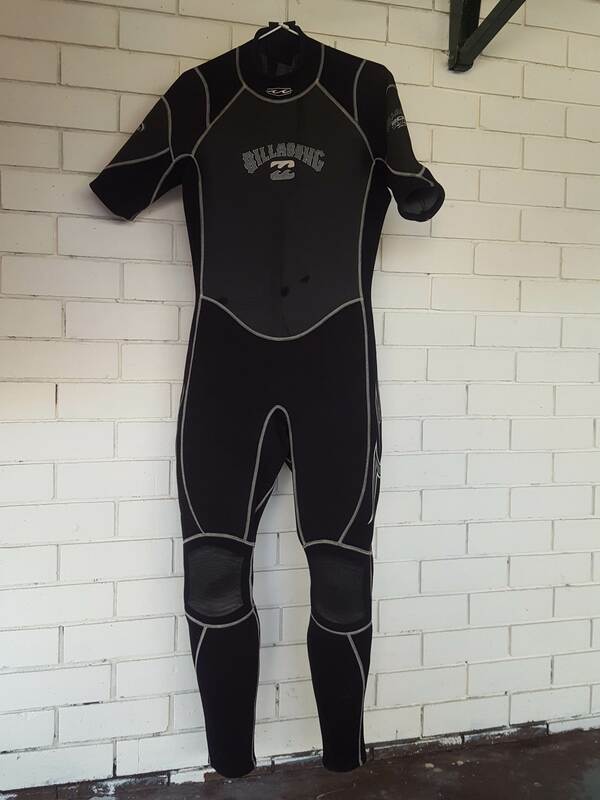 Would suit somebody currently freezing their balls off and between 170-175cm tall. I'm only getting rid of it because i managed to save some coin to buy me a new one. 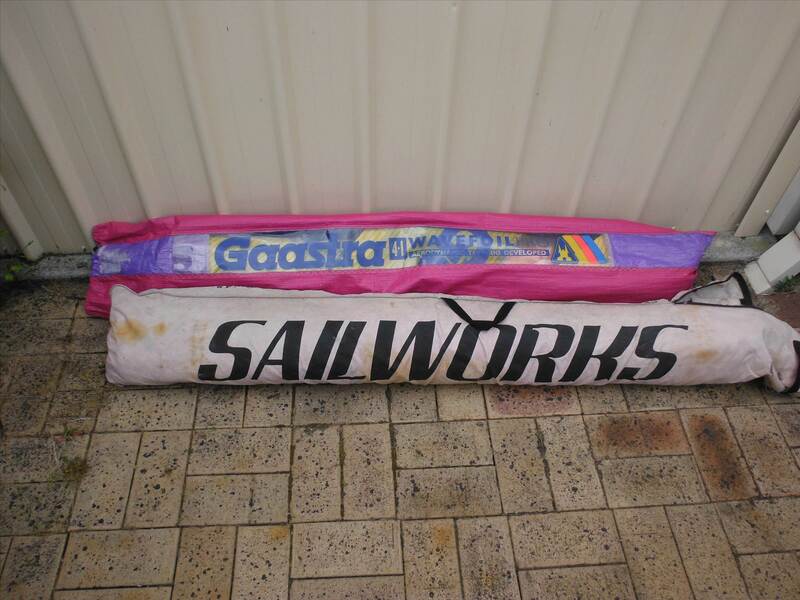 Following sails for free all in good condition with sailbags and battens-Please take all as one package. The V6 6.0m2 and some of the others would be great for a wind skateboard. 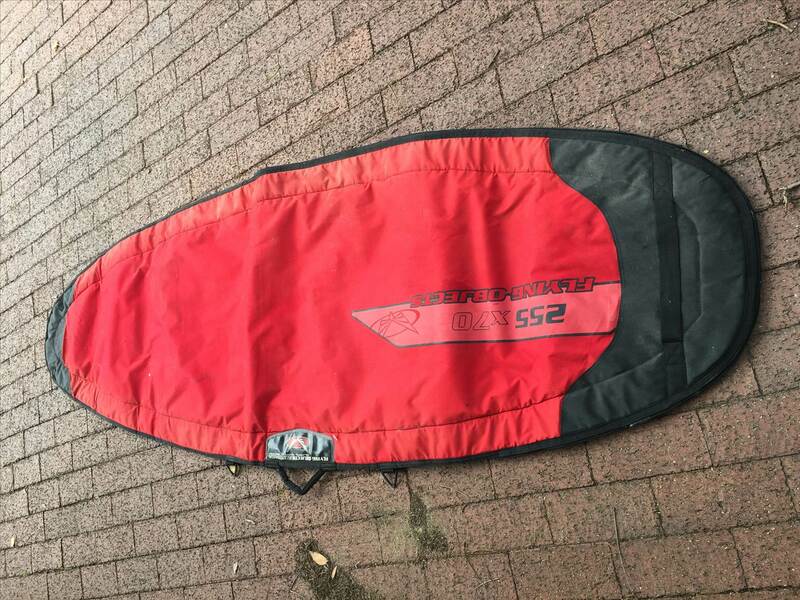 Ezzy Powerace 5.4m2 3 cams -excellent sail little used. 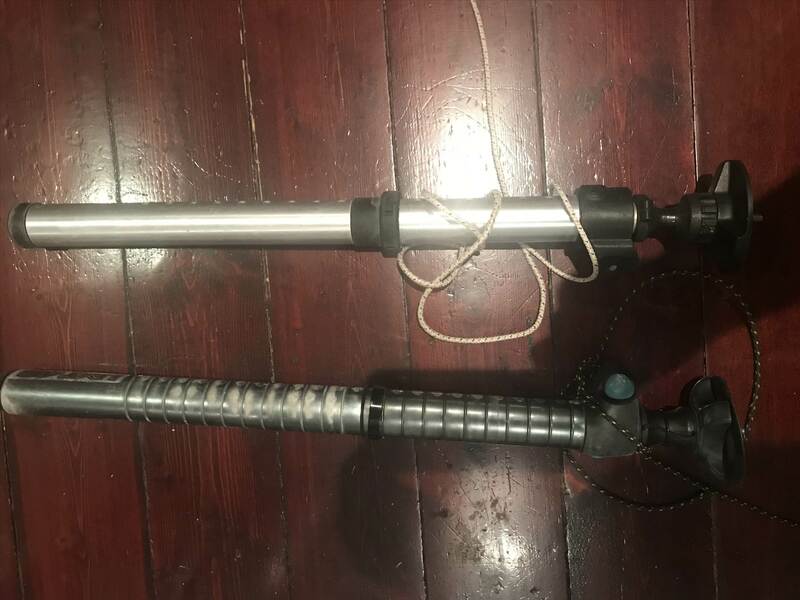 Ezzy Powerace 6.4m2 3 cams--excellent sail little used. Hey Maddlad the V6 looks in very good nick I was told it was almost new as the owner had gone overseas and left it behind. The Ezzy are good too. 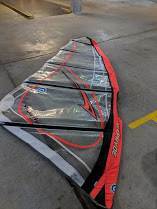 These are sails I acquired with other gear I have never used them but I can assure you these are excellent. They are taking up room. Take a look at the Ezzy website for more details, rigging guides and specs. 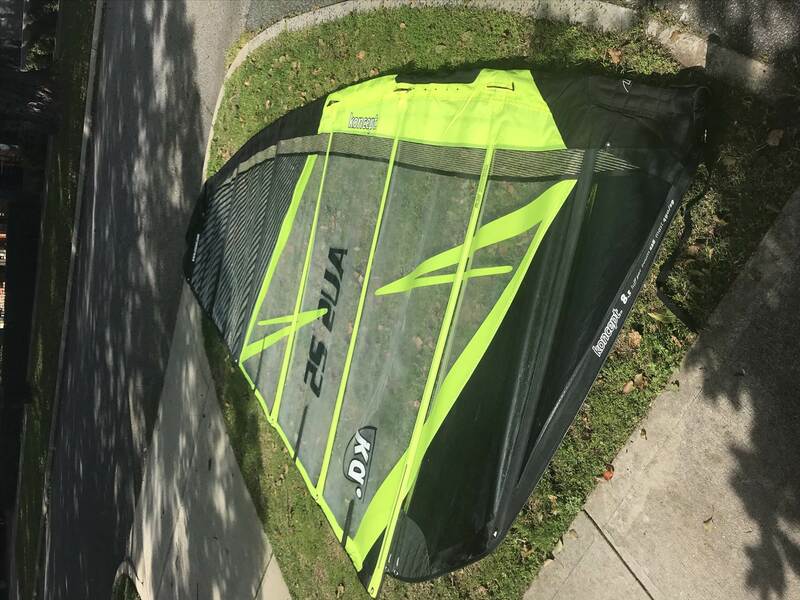 The Ezzy sails can be adjusted to work on both SDM and RDMs. Dave Ezzy supports with technical advice all of his products back to the beginning. www.ezzy.com/rig-support/all-years-ezzy-sails-2/ The 5.4 m2 is going to be the sail you may want for highwind then there is the 3 cam Wildwinds (early KA designed by Andrew McDougall and Tom Luedecke) too at 4.6m2 free with all this stuff. Cheers Rich, i run Pryde gear so thats more my type. You wouldnt know what year the V6 is would you? probably 1992.The Ezzy will work on Pryde masts I expect with some tweaks.. Sorry the Ezzy Power Race are 4 cams...All sails mentioned now gone. KA Koncept 8.5. Been in the shed for a few years but plenty of life left in it. 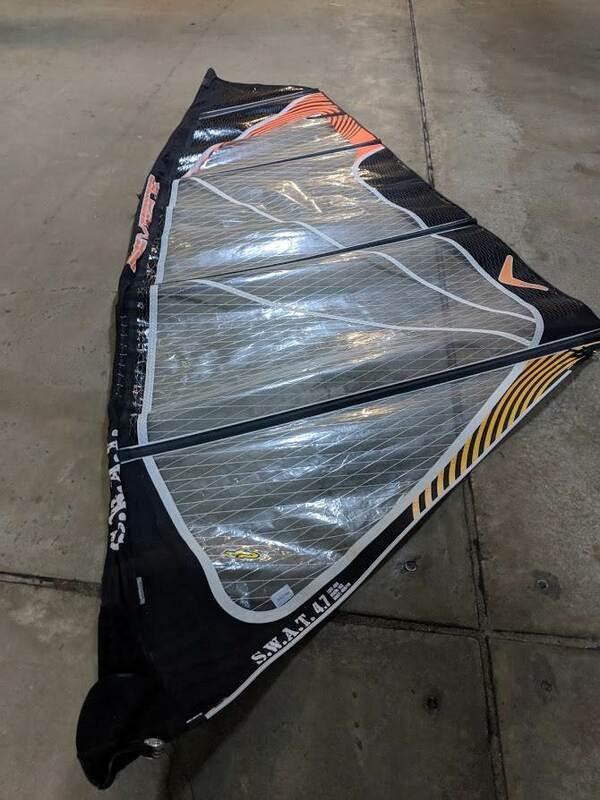 4.7 maui sails global (wave sail) free for pick up. not exactly sure of the year, but it was my very first sail back in 2010 (which i bought 2nd hand), so its at least that old. One clumsy beach tear in 2nd panel, which has been gaffa taped and is holding up quite well. Also has some "beginners wear and tear" in the bottom area. Other than that its in quite good condition for its age. Missed the boom but I will live. 4.0 Combat that rigs on a 370 so the hmmm 2010 to 2013 ish, then I think they went a bit silly to sell everyone 3 masts. ^^^ That 5.6 would be good for my new recruit. Add your own free stuff too? With weed fin and a bag. 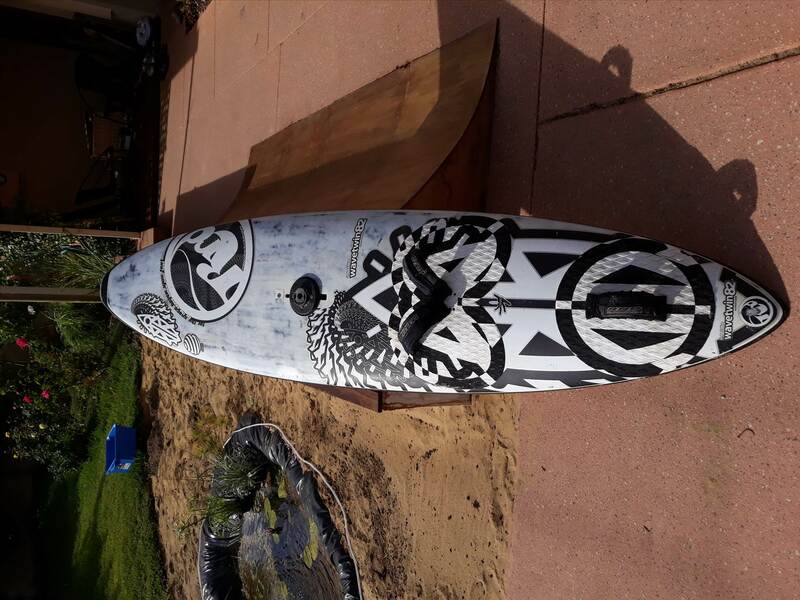 Maybe good for a lightweight who wants to go down from a freeride board but doesn't wanna splash out $1000 just yet....? (2) Tushingham "Airforce" 7.0m race sail, about same age as above I guess. 4 cams or something, would be a damn quick sail and have as much power as a modern 8.0 but a whole lot less windrange I reckon. 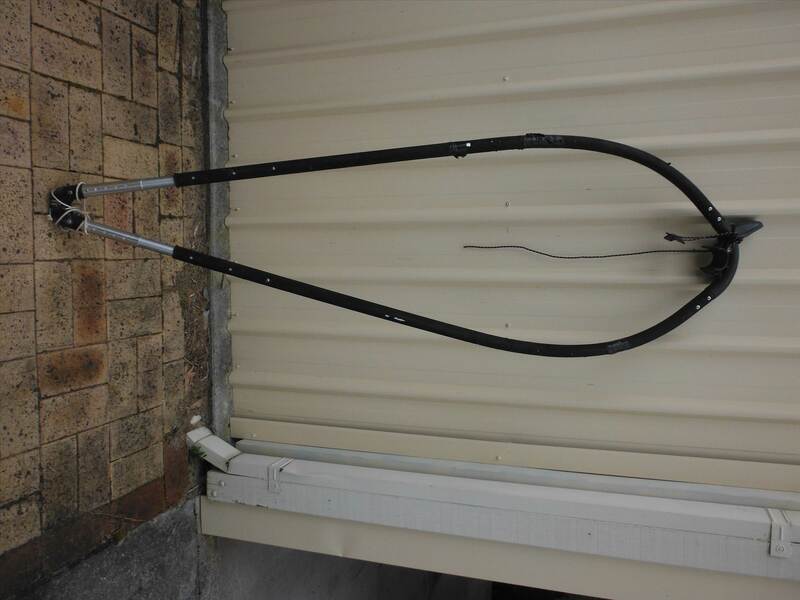 Downside - needs a 490cm mast. Bolts Impact 5.3 - Rigs on a 430 - little tear in luff take. KA Kult 4.7 - fixes on 400 - 30cm tear in window. Awesome thread. Lots of nice free gear here. We need to get something like this going in Canada, joewindsurfer?? But windsurfing probably does not have the popularity like in OZ. Ps, sorry for the Canadian invasion. Have the bottom of a SDM 100% carbon Tushinham 4.90 mast. Forgot I had this in the racks. If any use to anybody, its available. The top section is with it, but a hundred centimeters or so shorter. Its curve characteristics will be all shot to sh1t. If no takers over the week, Ill post it for the Land yacht guys. 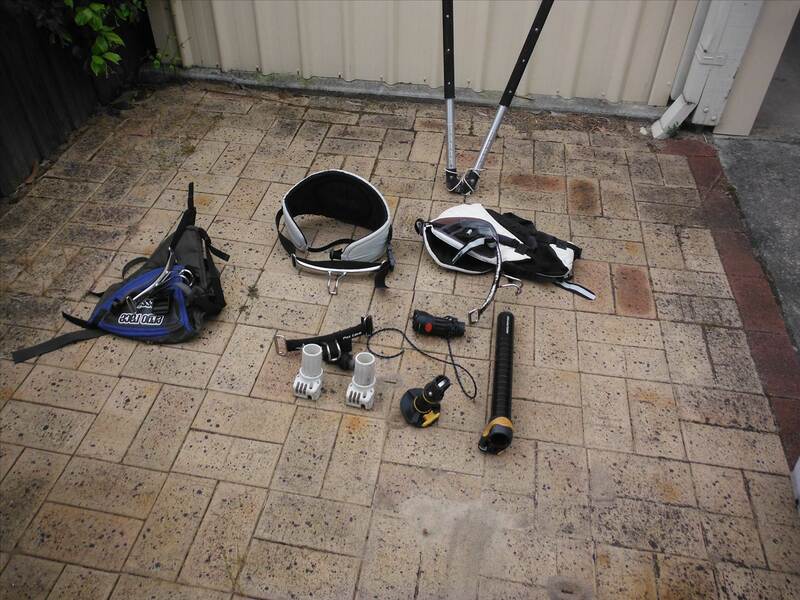 Having a shed clean out, most gear would suit beginner and has a bit of life left in it. 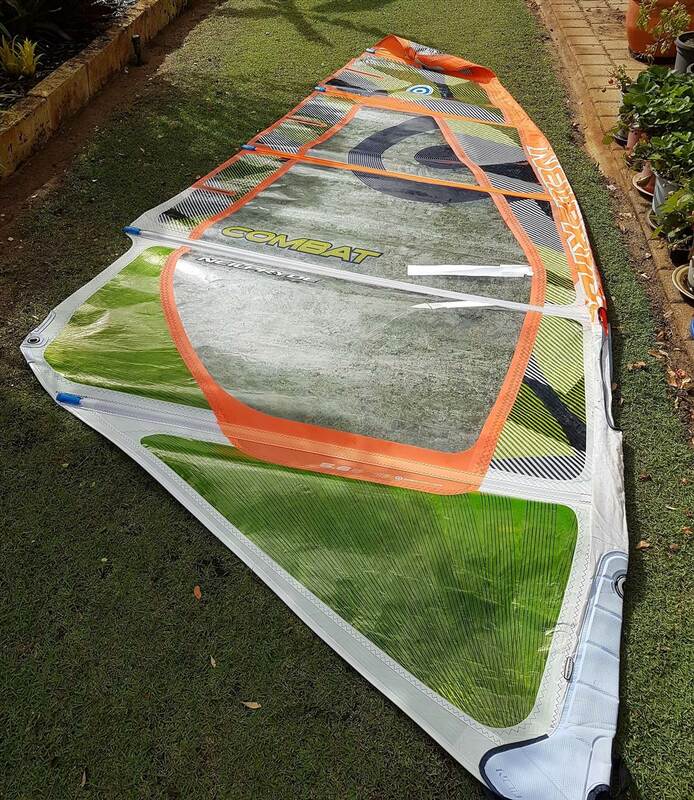 Boom, harnesses, some bases, extensions, Sailworks Revolution 4.8, Gaastra 4.1, Taranaki sail co 4.7 see the pictures.